The news is quite popular and common in cyber zone about the next generation iPad. Though there is not any concrete information about it in the market yet. There is some abstract talk about the device. Designer Antonio De Rosa has developed an iPhone SJ mockup as inspired by Steve Jobs. 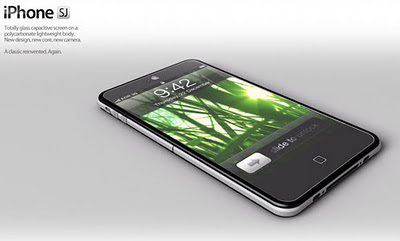 This design suggest iPhone JS to be attractive and catchy for others. It is likely that next version of iPhone may have a new quad-core processor and a 10-megapixel camera.